Nose: Fruity and floral, long lasting gaiety. A heady bouquet of vanilla, spices, and dried fruit. Palate: The tannins from the oak help it develop to the beginnings of maturity. A harmonious Cognac. House Trijol’s esteemed Cognac is a superior blend of Ugni Blanc grapes, harvested from the bountiful vineyards of the Grande Champagne terroir. 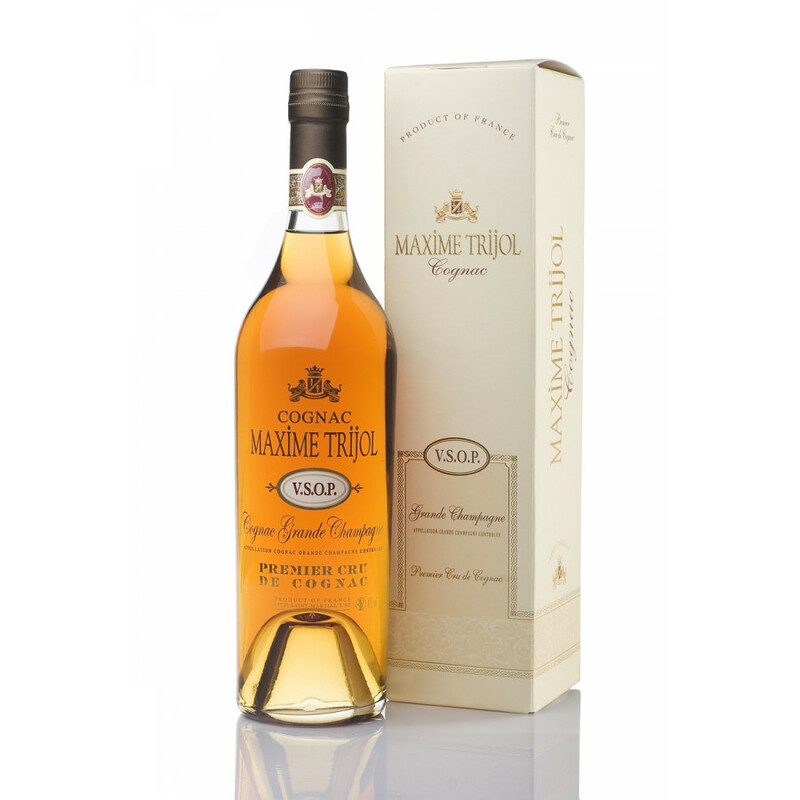 The Maxime Trijol VSOP Cognac is perhaps the most revered offering from a House synonymous with quality and steeped in tradition. With an impressive eight awards to its name, it is the combination of more mature eaux-de vie characterized by its joyously, fiery kick that sets this liquor apart. On average, it contains Cognacs aged between 10 and 20 years, with some eaux-de-vie rumored to be as old as 15! To this day, the family continues to oversee each step and it’s thanks to this intimate relationship between maker and métier that the house delivers a Very Superior Old Pale Cognac imbued with a heady bouquet of vanilla, spices and dried fruit and brought to life by a rich golden yellow hue. To create the Trijol Very Superior Old Pale Cognac, Ugni Blanc grapes are crushed and pressed between September and October, and juices fermented without sulfur dioxide. The wine is then kept upon the lees, and according to AOC Cognac rules, from March 31st onwards the wine process is transformed into Cognac over double distillation. The Charente method is preferred, which consists of double heating in the traditional pot still. It is then matured in Limousin French oak barrels before it is bottled. This effortlessly stylish decanter lets the spirit speak for itself. It also arrives in an intricate cream presentation box. This cognac is best enjoyed neat, or in cocktails, and at 20-25 degrees Celsius.